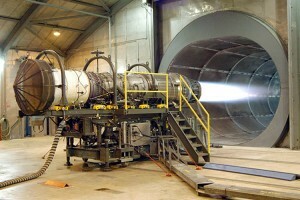 Aerospace engineering is generally linked to aircraft. It also deals with spacecrafts and airborne weapons technologies, and the technical aspects of each of these. It is distinct branch of science, whereas at present situation aerospace engineer mainly develop technologies for use in civilian transportation, defense systems and space exploration. Also the major thing is that to maintain this aircraft there is wide range of engineers required frequently so to fill up this requirement aerospace engineer’s subject has vital role to play. Studying for an Aerospace Engineering degree can be your VISA to a successful and rewarding career within the aerospace industry. As we discuss earlier on introduction that those who have admire to seek higher ambition and as well as intimacy in aviation field only they can choose to study this subject. Today almost all universities and colleges in U.S. have this subject as a career oriented. Aerospace Engineering future is very bright. There is a huge number of possibilities and jobs available in the aerospace industry and aviation industry for aerospace engineers and great room for personal growth and development and the demand for aerospace engineers are likely to remain so as there is a boom in world travel, aviation and aircraft industries. Many government, defense and space agencies are also on the lookout for aeronautical engineers to develop the future of flying vehicles and systems. I am Ari Banerjee. Its our educational portal specially for graduate students. If you want to know more about your subject in which you want to proceed your career check the link below and stay with us.